Invest in your very own Customized Private Audio-Hypnosis Recording. Listen in your own cozy place as you drift off to sleep. Experience change and growth at the seed level of your Sub-Conscious beliefs, easily and effortlessly.This Recording is Produced based on your Private session with Master Hypnotherapist Shahin Jedian CHT, NLPP. If you received our Discount Gift Certificate from Jedianix Zones , You only pay $49 for your downloadable version of your custom made Zone Tailored MP3. You may also use your Gift Certificate Coupon Code to get further discounts, based on what has been offered to you in the email you received. Just enter your code during checkout. This investment includes: Recording, and MP3 Version. Custom Self-Hypnosis Audio Recordings are ideal for. . .
You will start living a happy, fulfilling, and rewarding life. When you change your mindset, you will change your life. A Custom Self-Hypnosis Audio Recording will help you create permanent positive changes in how you act, think and behave. There are too many applications for such a recording to mention in fact, but here are a few. ones childhood and therefore can be addressed better in a personal recording session. How can a personal recording work for me? Some people struggle to relax in the presence of even the most highly trained hypnotherapist. the comfort of your own home without having to feel self conscious about your problems. It is more flexible than face to face contact, because it can be listened to whenever there is a need. enjoy the benefits of hypnotherapy at any time. reinforce the healing process in between personal sessions. pays for itself in due course very quickly. made for yourself. Imagine the benefits. when the sessions have finished to help reinforce the benefits of the therapeutic work received. values helping you to set compelling goals and to build and change your life for the better. A personal hypnotherapy recording can help you to make these changes. having a personal recording at hand any time you need, is very handy. Then, all you have to do is play the CD at night as you fall asleep...you will drift into a normal sleep when the CD is over and wake up in the morning refreshed. Listen each night for up to three weeks and watch the changes take place in your life easily and effortlessly! Feel the energy of positive change moving you powerfully in the direction of your goals! It's easier than you think. You'll see a new you and you'll feel great about it!!! Shahin D. Jedian, BTLP, Certified Clinical Hypnotherapist and Licensed NLP Practitioner charges $649+ for each private hypnotherapy package session at his office, but you can get all the benefits for this low price. 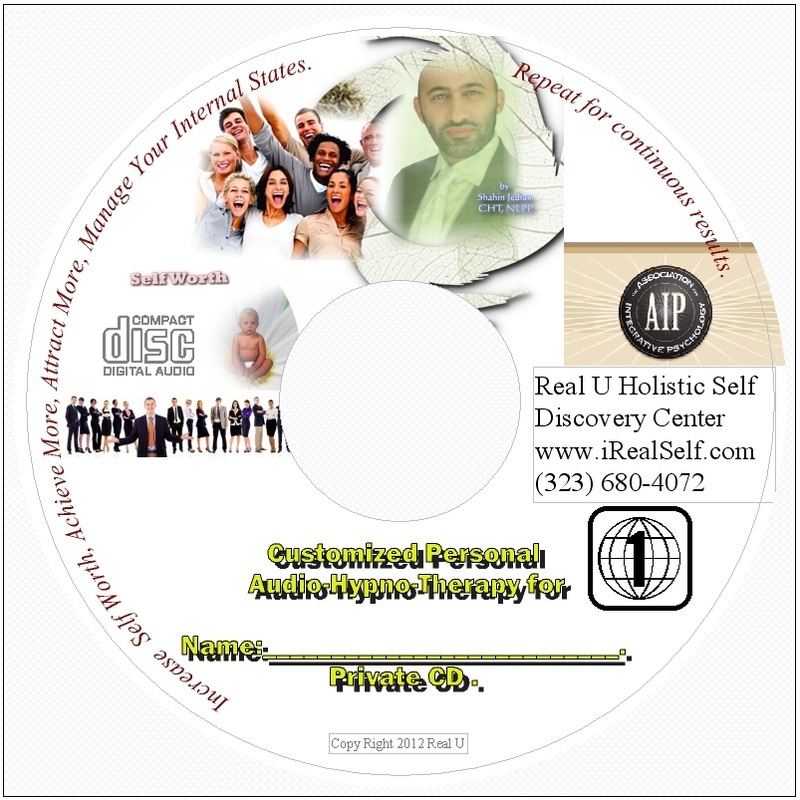 Not only will you receive an hour-long completely customized recording, which you can keep playing at home, but included in the price of the Custom CD is a complimentary half-hour phone consultation (you save $250.00), as well as your choice of several inductions, deepeners, and background sounds with binaural tones. 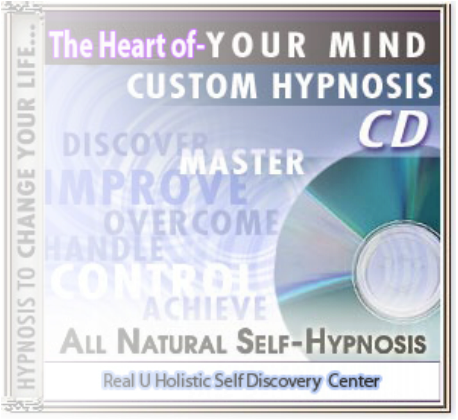 Once you have received your unique personalized hypnotherapy recording, simply listen to the CD every night as you go to bed for three weeks and feel the changes happening in your life. You will feel more empowered, more in touch with your true self, and you will truly know that your goals are within your reach. This is the same hypnotic technique he uses with busy professionals, Hollywood actors, and people like you who are ready for a positive change NOW! Shahin D. Jedian achieves AMAZING and LASTING results!!! Hypnosis is the easiest way to affect change in your life because the positive messages go straight to your subconscious mind effortlessly so you can accomplish your goals and reach for the stars!! All you have to do is listen to the CD at night as you go to sleep!!! You'll hear soft music, the gentle sounds of the beach, and the soothing sound of Shahin's voice all working together to bring about positive changes in your life easily and naturally. Shahin D. Jedian has been helping people improve their lives for over 15 years...now it's time for him to help YOU... don't wait, do it NOW !!! you'll be glad you did. See you at the top! "Shahin D. Jedian has given me several sessions of hypnosis which have been extremely beneficial to me because I was unable to get to the root of the problem through any other method. He is a wonderful hypnotherapist and I highly recommend him!" "WOW! No wonder Shahin is the leader in hypnotherpay. How lucky are those who have had the benefit of his genius!" "If you want to make a positive change in your life, Shahin can make the difference. He did with me." "Shahin D. Jedian exhibited great insight and sensitivity during our time together. I would recommend his services to anyone seeking aid with the elimination of unwanted habits." "Shahin D Jedian of Real U Holistic Self Discovery Center helped me to relax and focus. Thanks to him I had the motivation to accelerate my career into a whole new level." "Shahin D. Jedian has had a tremendous impact on my career. Working with him has helped me become more relaxed and confident. He also helped me decide to write a book so that I could share my experiences with others." "Working with Him was a fabulous experience. He helped me overcome my fears and move on more successfully in life and in my career. He is certainly the most brilliant mind in hypnotherapy!"